Why not start off the new year with a smart step forward? You want to make the biggest positive impact on your commercial bakery or food production site. You need to save money, make a quality product and increase efficiency. You can do it all with one, simply brilliant step. Strap yourself into the patented jet engine technology of Rapidojet. Experience the thrill of rapidly rising quality while living the wild dive of its ROI. This radical batch or continuous hydration & mixing technology is disrupting everything you’ve come to expect from a mixer. The idea is simple. Dry ingredients are shot with a high pressure stream of liquid. The two are homogeneously combined in less than a second, and fall into the existing legacy mixer. However, what happens in that instant has a rippling effect on just about every part of the process. The dry ingredients are instantly hydrated, and gluten is formed before it hits the bowl. Ingredients are homogenized in a fraction of the time of traditional mixers. When dry ingredients are mixed with Rapidojet, they are instantly and fully hydrated. While this makes the process simpler and faster, it ultimately helps the product. Water is fully bound, and gluten formation is improved. With more bound water, shelf life improves. Hydration levels increase by 5% to 8%. You’ll get a softer, moister, final product with a longer shelf life. Tail out is one of the biggest causes of waste that bakeries face. However, Rapidojet will increase dough consistency from start to finish. You’ll see the same results time and time again because your drys are instantly and fully hydrated. With normal mixing, the water is not fully absorbed until after the make-up line. Hydration is more crucial than oxidation. Biga. Sponge. Dough. Masa. Bran. Sprouted grains. Gluten-free products. Frozen dough. Mashed potatoes. These are just a few of the products Rapidojet technology has improved. No matter what dry ingredients need hydration or mixing, Rapidojet can handle it. This is because although the ingredients may change, the science of hydration and mixing stays the same. As mentioned above, Rapidojet technology gets the job done in less time, with fewer ingredients. You’ll also be saving when it comes to energy costs. Rapidojet consumes only 1.5 kwh per ton, compared to the 15 kwh per ton traditional mixers use. Plus, mixing time is cut by up to 85%. 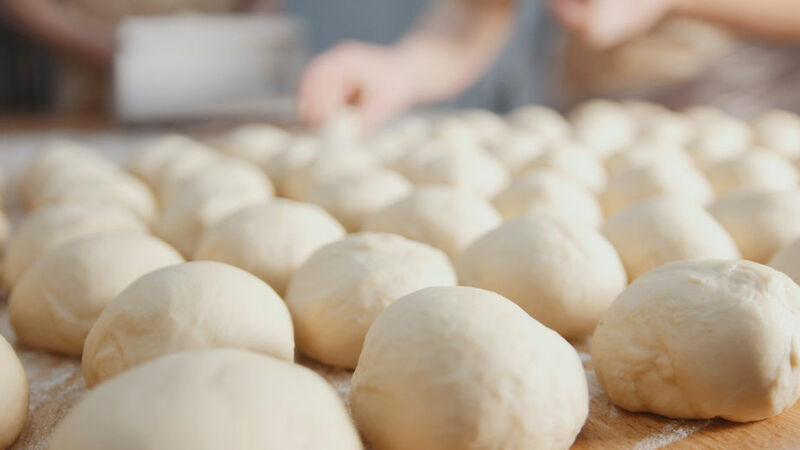 As the food industry evolves, bakeries need to find ways to do more with less; to be efficient and cost-effective with their resources. They need to find ways to stay up to date with consumer demands, like foods with less additives or gluten-free products. As you look for ways to bring your operation forward, consider Rapidojet. Be bold. Be brilliant. Take off with Rapidojet. Contact me at ken@bakeryconcepts.net to see how this technology could make 2018 your year!